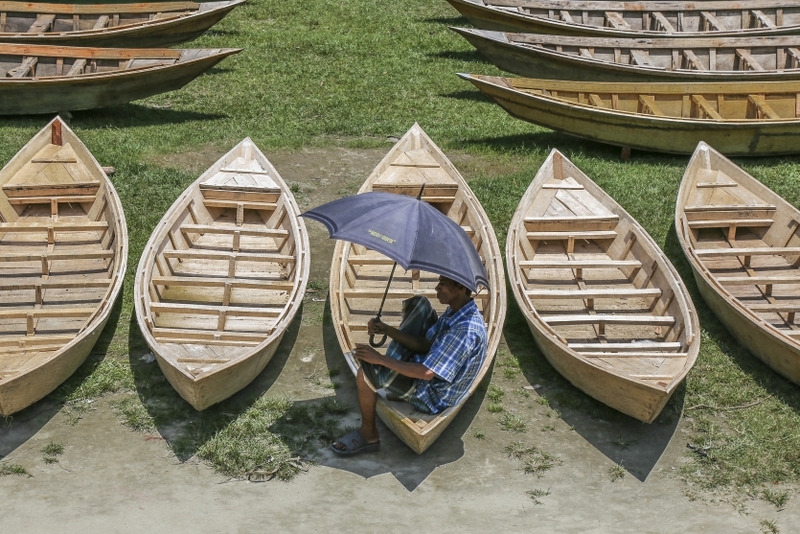 The boat seller is waiting to sale his boat to the Buyer. Theme related because New boat making is a culture of our country Bangladesh. People are making new boat every year in Rainy season for their transport coz all the roads became flooded by rain water and river water. This photo is taken from Ghior College ground, Manikganj, Bangladesh.